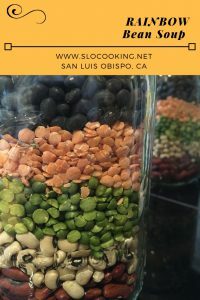 This rainbow bean soup mix was a recipe I came up with last year to use as a table decoration for the local woman’s club I belong to. 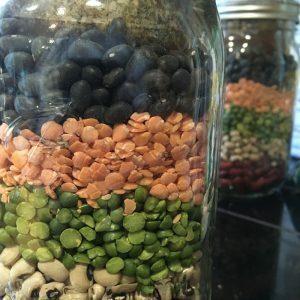 The rainbow bean soup mix is packaged up in a jar and you can decorate the top with decorative fabric. It makes a pretty gift or holiday decoration.